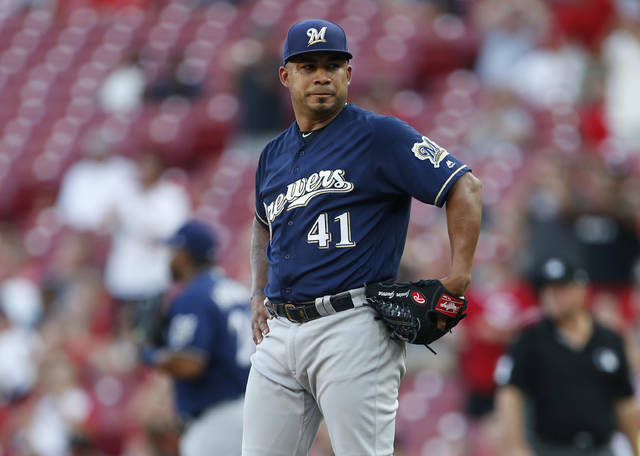 CINCINNATI (AP) — Junior Guerra might have pitched himself out of the Milwaukee Brewers’ rotation as they continue their August slide. 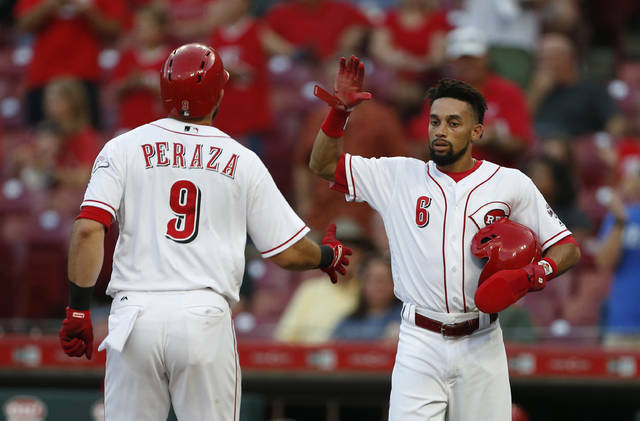 Jose Peraza started Guerra’s rough outing with a two-run homer, and the Cincinnati Reds withstood Christian Yelich’s first multihomer game for a 9-7 victory Tuesday night. Anthony DeSclafani (7-4) gave up four runs in 6 2/3 innings, including Yelich’s solo homer. Yelich added a three-run shot in the seventh off Jared Hughes. Yelich has 10 homers in August and a career-high 25 overall. DeSclafani missed the first two months recovering from a strained oblique. In five August starts, he’s gone 3-1 with a 2.62 ERA. Raisel Iglesias got the final out in the eighth. He gave up a pair of hits in the ninth and Yelich’s run-scoring groundout — his career-high fifth RBI — before closing out his 24th save in 28 chances. Brewers: RH Zach Davies is expected to rejoin the team over the weekend. He’s been recovering from a shoulder injury since June. Counsell hasn’t decided whether to use him in the rotation or the bullpen. Reds: 1B Joey Votto took ground balls and ran on the field pregame. 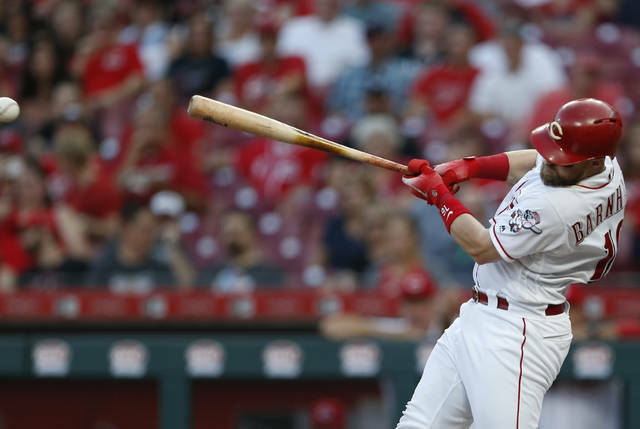 He’s expected to have another workout on Wednesday, and the Reds will decide whether to activate him. Votto has been sidelined since Aug. 17 by a sore right knee, which was hit by a pitch on Aug. 4. Reds: Matt Harvey (6-7) makes his 19th start for the Reds. He’s 1-0 with a 1.45 ERA in his last three.